Organized by Internet Society Hong Kong, ICANN, NSRC and Cyberport, we proudly present one of the biggest DNSSEC event in Hong Kong. DNSSEC is a security measure that protects Internet users from getting infected with cache poisoning. If an user is impaired, without their knowing their identity and information could be compromised while accessing the Internet. DNSSEC safeguard the Internet by creating a “chain of trust” that requires secret password in order for exchange of information at all levels of the domain. The half day seminar will focus on the various attack vectors through insecure DNS and ways to mitigate them with DNSSEC. Thanks to DNSSEC, it will open doors for future application development which will impact how e·commerce and e·government operates. The 2-day workshop will provide technical hands-on experience and cover key management topics. This workshop is targeted for technical staff/systems and network engineers working for ISP/ASPs, banks, higher education, government agencies, or those already familiar with DNS. Through a mix of presentations and hands-on labs, we’ll cover the DNSSEC security extensions in detail, including the differences with insecure DNS and how to sign the zone. Rick has over 25 years of Internet experience as engineer, entrepreneur, and policy expert. Currently responsible for DNSSEC efforts at ICANN, Rick was the technical and policy architect for ICANN’s root DNSSEC deployment and is a driving force behind DNSSEC’s deployment as a cross-organizational, transnational platform for Internet security innovation and opportunity. Prior to this he was Director of Global IT policy at the US Department of State where he worked to bridge technology and policy across a wide range of agencies and issues. Before this he founded a number of small networking startups, the last being acquired by Microsoft. His years in the networking field have included implementation and commercialization of a wide range of communication protocols (UUCP, MEP2, BiSYNC, SDLC, X.25, DECNET, Q.921/931, H.323, IPX, TCP/IP). Rick received a PhD from MIT in 1987. He still misses the art of building radio circuitry which he has been doing since he was 10. 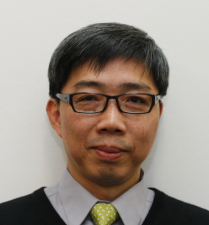 Mr Warren Kwok is a member of the Professional Information Security Association (PISA). He is working at the Office of the Communications Authority. He holds the professional qualifications of Chartered Engineer, Microsoft Certified System Engineer and Certified Information Systems Security Professional. With a strong interest in information security and Internet development, he has published several articles in PISA Journal on email honeypot systems, DNS cache poisoning, amplification attacks, IPv6 security and DNSSEC. He has also delivered talks on Internet infrastructure protection, IPv6 security, WiFi security and DNSSEC. HerveyAllen works for the Network Startup Resource Center (NSRC).Over the past few years Hervey has done extensive organizing, coordinating and teaching in network workshops and tutorials covering topics such as network monitoring and management, Unix system administration, security best practices, DNSSEC, scalable network services, and campus network design. These workshops have been held in over 20 countries around the world and have been part of events such as APRICOT, SANOG, AfNOG, PacNOG, WALC and multiple ccTLD trainings. Before joining the NSRC Hervey graduated from the University of Oregon in Computer Science. He has run and built help desks at Pomona College and the University of Oregon, was a System Engineer with Turbolinux, Inc. and worked with several non-profit organizations building their technical infrastructure. Hervey is a member of several coordinating and planning committees for larger Network Operator Group events, including the Pacific Network Operators Group (PacNOG), South Asian Network Operators Group (SANOG) and the African Network Operators Group (AfNOG). 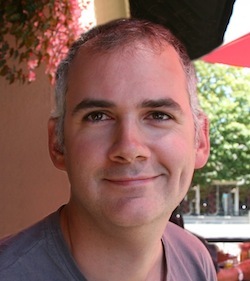 Phil Regnauld works for the Network Startup Resource Center (NSRC). On the side, Phil is a partner at bluepipe a/s; a small company doing development, network monitoring and DNS consultancy. At NSRC, Phil is helping with workshop planning, material development, teaching and Direct Engineering & Assistance. Phil is currently a member of the AFNIC’s Technical Advisory Committee. 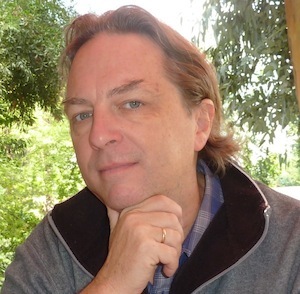 Since 1997, Phil has been participating in workshops around the world, including INET Workshops, AfNOG, APRICOT, PacNOG, ccTLD trainings, and other events in Asia and Africa. Phil holds a bachelor degree of Computer Science from Université Paris. Before founding bluepipe and joining NSRC, Phil was a system and networks administrator for the Copenhagen Kingdom Hospital. Since then he has designed large DNS and mail platforms for organizations in the Danish private and public sectors (healthcare, pharmaceutical and ISPs). He participates in a number of open forums and advisory committees for TLD administrators.